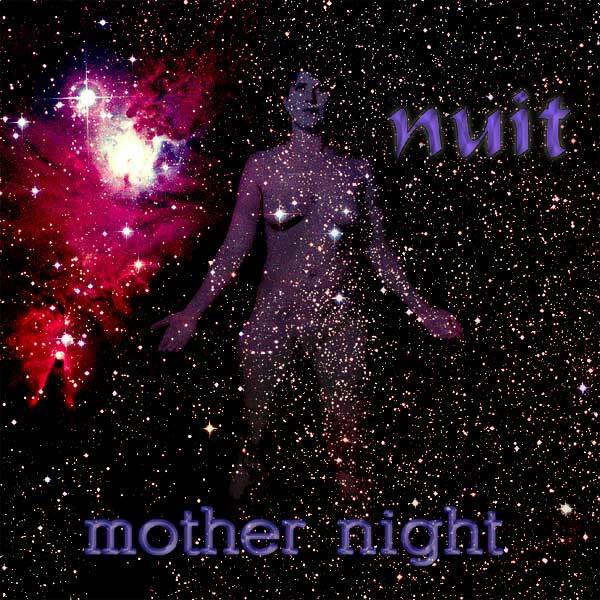 This is nuit's one and only album. It was a lovely experiment, but it never went anywhere. I consider this the best album Leigh Ann and Elton ever made, but audiences weren't interested in what we were doing, and personality conflicts broke up the band. So it goes. 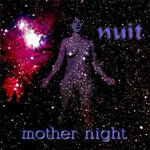 The album was recorded in various basements and living rooms around the San Francisco Bay Area, and was produced and mastered by Mark Pistel in San Francisco. Out of the House of Sleep 128 kb, 3.9 Mb Instrumental tune by Elton and Dave Ernst, a prologue to the rest of the album. Dave Ernst: guitar. lyrics Elton's song about how transient life is, and our duty to enjoy it while we have it. Brian Hill: sitar; Eric Bart: sitar. lyrics Elton wrote this song for Caitlin, his personal sky goddess (whose picture you can see on the cover of the album). lyrics The inspiration and title for this song is from Paul Simon's song The Rhythm of the Saints : "Some say the sky is just the sky". lyrics Our friend Pat McGregor sums up most of Elton's songwriting by the single word "alienation". This song is a very clear explication of how true that is. lyrics There is a myth about the Library in Alexandria, that it was burned because it contained heretical documents. This song takes that myth as its starting place. ...unto whom I send this kiss 128 kb, 3.8 Mb Brian Hill: sitar, guitar; Eric Bart: lead guitar; Symon Michael: saxophone. lyrics Leigh Ann, I love you. Wherever you went, I hope you remember us and smile. Brian Hill: sitar, guitar; Symon Michael: saxophone. lyrics The Reader's Digest Condensed Book of the Law, Chapter II. lyrics Let's be honest: songs don't get much bleaker than this. If they do, Elton probably wrote them. Just sayin'. This is Goth with a brand new razor blade. lyrics Elton, Leigh Ann, and Emerson all collaborated on the words for this. lyrics "Success is your proof; courage is your armour; go on, go on, in my strength; & ye shall turn not back for any!" Brittany Haas: violin; Natalie Haas: cello. Reflected in a Bowl of Sky 128 kb, 4.0 Mb The primary rhythm for this song is provided by three electric saws and a pneumatic tire hose. Dave Ernst: electric guitar; Symon Michael: saxophone. lyrics This is the end of all the songs man sings. Mike Sugar: upright bass.